White Mountain Apache tribal member Gregg Henry hiked along the southwest landscape of the Tonto National Forest in Arizona with the specific intention to identify and record sacred places. 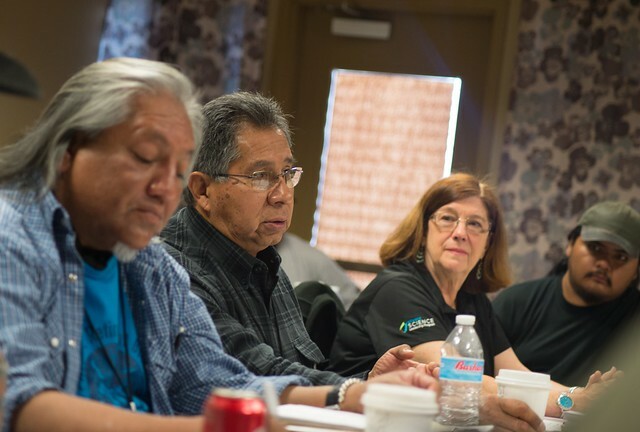 For decades, Native American tribal members have approached state and federal agencies to offer insight on their ancestral lands. Finally, land managers, surveyors, and others are tapping into this expertise – and employing tribal members to work alongside scientists. In January 2018, Henry and 30 others representing nine tribes took part in a first-of-its-kind intensive nine-day Tribal Monitor Training. Hosted by the USDA Forest Service and funded by Resolution Copper Mining LLC, the program was designed to train tribal members to work as specialized crews that identify and record traditional cultural places using a combination of traditional knowledge and modern archaeological techniques. “Landscapes have names, hold stories, house spiritual deities, invoke prayer, provide food and medicine, mark ancestral boundaries, and are venues for the exchange of traditional knowledge,” said Nanebah Nez, an archaeologist and tribal liaison on the Tonto who organized the training. Daniel Cain, Heritage Program Manager on the Mark Twain National Forest, helped train the aspiring Tribal Monitors. Eleven trained tribal members have already found high-paying jobs alongside archaeological survey crews with Westland Resources Inc., a cultural resources management and environmental consulting firm based in Tucson, Arizona. 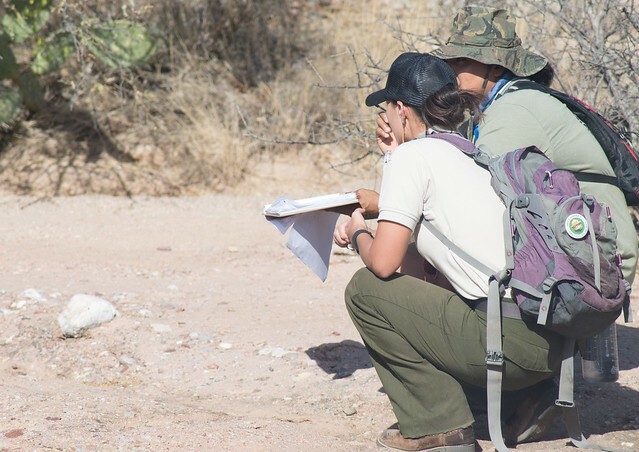 They will spend almost four months performing pedestrian survey work in 10,200 acres of the remote, rugged Sonoran Desert. Avi Buckles, WestLand’s Project Manager and Senior Archaeologist, is enthusiastic about this collaborative effort to understand the landscape. The information gathered by the Tribal Monitors and WestLand archaeologists will help to inform the Resolution Copper Project Environmental Analysis and help federal agencies to avoid or mitigate impacts to the areas identified. After this fieldwork ends in July, Avi hopes to have additional projects for the Tribal Monitors to work on.